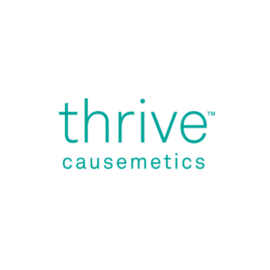 Thrive Causemetics is Beauty with a Purpose: for every product purchased, one is donated to help a woman thrive. We create vegan, 100% cruelty-free formulas containing proven ingredients without the use of parabens or sulfates. All of our high-performance cosmetics are developed at Thrive Lab in Los Angeles—we control every step of the product development process, with significant input from our customers.